We're approaching the half-way point of the year - where does all the time go? - and we've already seen a lot for mobile fans to get excited about. Maybe not to a 'here's the first-ever iPhone' level, but we've still been impressed by what the big manufacturers have done. To give you a handy summary of where we're up to so far, we're going to review some of the most interesting mobile innovations we've seen since 2017 began. Google and Apple, it's over to you to see if you can raise the bar even higher in the second half of the year. When LG unveiled the LG G6 at Mobile World Congress in February, the distinct lack of bezels was one of its most eye-catching features, but since the Galaxy S8 and Essential Phone launched, it's starting to become almost familiar. We're not sorry to see the bezels go - edge-to-edge displays are giving phones a style and flair they haven't had for a few years now - and as long as it's still easy enough to operate the handset and get around the screen there's really no downside. It's fair to say Bixby hasn't had the easiest of introductions into the world - it's still not yet available in the US and UK - but Samsung's long overdue take on the digital assistant could be enough to have Apple, Google and Amazon looking over their shoulders. Bixby comes on the Samsung Galaxy S8 and S8+, and we like the ability to launch the app with the push of a button rather than having to call out a command - though surely Samsung should add both options so that users have the choice of both. As we've said, Bixby is far from perfect yet, but with Samsung's engineering prowess behind it, it shouldn't be too long before it develops a personality and features all of its own, so it can genuinely go head-to-head with the Google Assistant and Siri. You can't go far in tech land today without bumping into a mention of HDR or High Dynamic Range - it's the display technology that means colours and brightness are more evenly balanced out, and more of the detail in a picture is visible to the user. Now the technology, which we're familiar with on cinema screens and televisions, is coming to smartphones too. Both the LG G6 and the Sony Xperia XZ Premium are rocking HDR screens to get your movies and shows looking their best on the small screen. In fact the LG G6 supports two competing HDR formats, HDR10 and Dolby Vision, so whatever type of High Dynamic Range your content is putting out, the LG flagship can display it. As far as we're concerned, display upgrades are always very welcome. Speaking of screens, LG and Samsung have also been spearheading a move towards extra-tall (or extra-wide) screens - the flagships put out this year by the two companies both boast displays with an 18:9 aspect ratio (though Samsung's is technically 18.5:9). So how does this affect the apps you run? Well if the content you're watching is filmed in the same aspect ratio, as a number of movies and Netflix shows are, in fits perfectly. You can read more of a website in one go and don't have to do as much scrolling in general. The LG G6 camera app is a good example of how the extra space can be used, as it queues up a gallery of your recent pictures down the side of the screen. Whether 18:9 is here to stay remains to be seen, but it's an intriguing twist on the smartphone display norm. 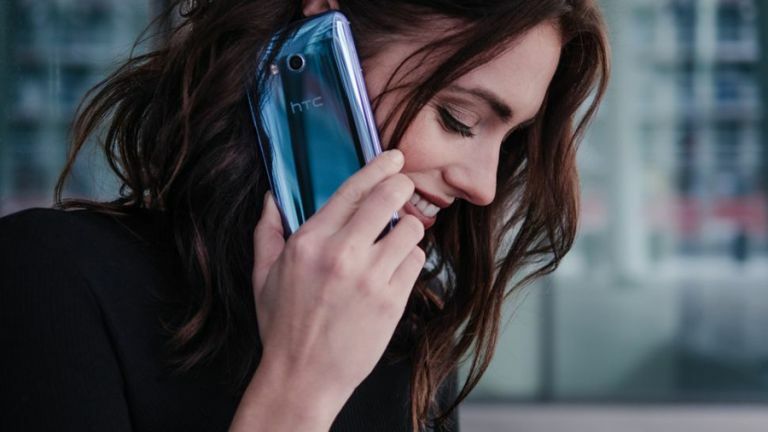 Hats off to the HTC U11 for trying something different with its new Edge Sense technology: one squeeze of the sides of the device and you can launch the camera, take a photo, or perform any other action that you want to let the shortcut take command over. That squeeze-to-launch or squeeze-to-select can be very handy indeed if you don't want to be poking around on the screen or you're wearing gloves - for instance, you can fire off a mobile snap very easily with one hand knowing that the shot stability won't be affected. Unfortunately, with HTC lagging behind the likes of Samsung, Apple and Google in the smartphone market share war, Edge Sense might not reach the size of audience it deserves - but we'd like to see manufacturers keep experimenting with input methods. The idea of modular phone parts has been around in years past of course, but it's back on the table as a serious idea with the launch of the intriguing Essential Phone (and we should give an honorary mention to Lenovo's Moto range of smartphones as well). At this moment in time the only modules we know about for the Essential Phone are the 360-degree camera you can clip on to the back for some quick VR shooting, and the smartphone dock that handles charging and so on, but we're excited to see more. Getting the world at large interested in smartphone modules has been difficult up until now, but we think it's an idea that has potential for all kinds of reasons - and we're hoping the big names in smartphones keep persevering with phone modules into the future.